In a new report, the U.S. Forest Service said that drought conditions accelerate invasion of invasive plant species on grasslands in the West, leading to wind and water erosion, reported Tove Danovich in Takepart.com. 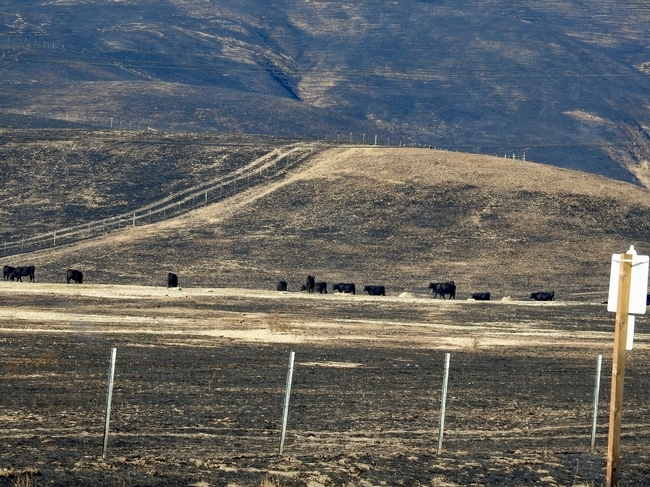 Poor management of grazed rangelands can "exacerbate the effect of drought," the report said. 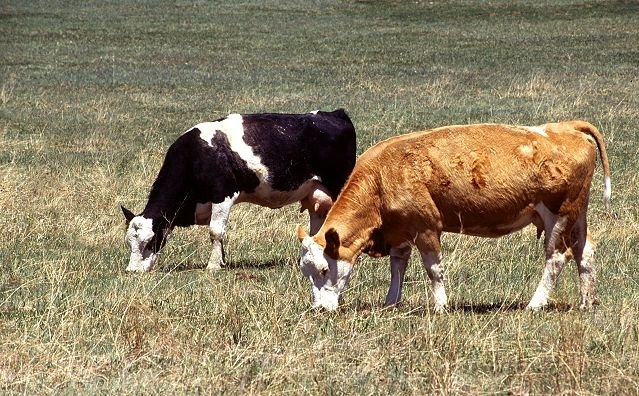 The Forest Service identified the need to reduce cattle numbers on public land during a severe drought - in come cases to 50 or 70 percent of total carrying capacity, which is the number of animals the land can support before causing environmental degradation. Plants that have been overgrazed "are less able to recover after a drought," the report said. For expert commentary, Danovich turned to a UC Agriculture and Natural Resources (UC ANR) source. Sheila Barry, the livestock and natural resources advisor for UC ANR Cooperative Extension, said ranchers do have to reduce herd size in times of extreme drought. 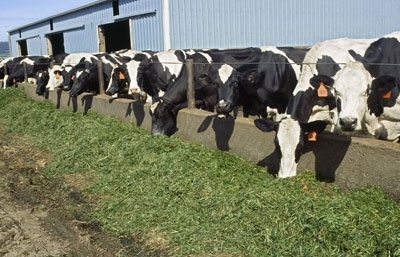 Cattle that graze on the open range are usually finished at a feed lot. In the first year of drought, ranchers have the option of weaning cattle early to reduce demands on the land without reducing the herd size. In the second year of drought, ranchers have to consider cutting into their herds. "As soon as they do that," Barry said, "it can take up to eight years to build it back."